When you void or rollback reservations, you need to manually void the item in Xero too. If you don't do this, then there may appear to be double up transactions during reconciliation. To should void the duplicate transaction - reconcile with one of the transactions, and void the other one. Invoices generated on check out. 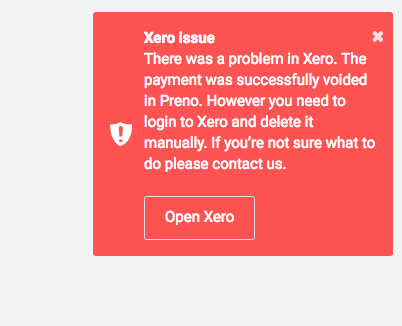 When you void transactions, or roll back reservations, you'll see a notification warning you to manually void the transaction in Xero. How do I prevent this happening again? When you void a deposit, or rollback a reservation, it's best to handle voiding that in Xero at the same time if you can. For keeping track of payments that have been voided, you can find this at the bottom of the Reconciliation Report in the Voided section. 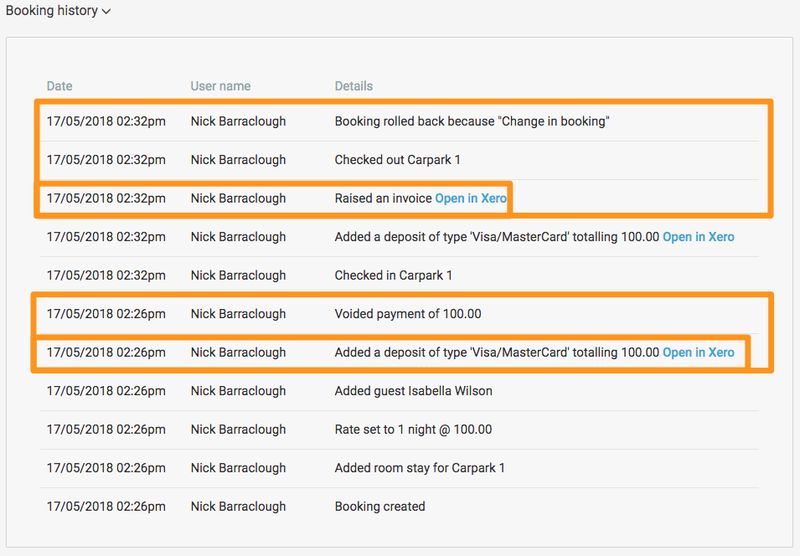 The Booking History for the reservation will also have links to the old prepayment and old invoice in Xero. 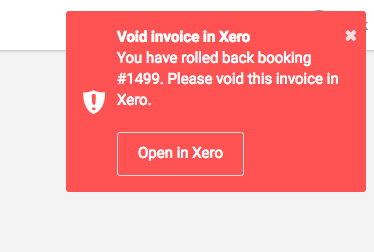 You can click Open in Xero to be taken straight through to the item to void.